OAKLAND, Calif. (KGO) -- Oakland native Damian Lillard may play for the Portland Trail Blazers, but he returned to his East Bay roots to give back to the school where he developed his basketball skills. Hundreds of students from Oakland High School joined Lillard to unveil upgrades to the gym, weight room and additions to the school's music program. The celebration at Oakland high didn't end with new weights or a state-of-the-art recording studio for the music program. In addition Lillard's jersey was retired and hung from the gym's rafters and students were treated to performances from Fetty Wap, Lil Uzi Vert and DJ Esco. 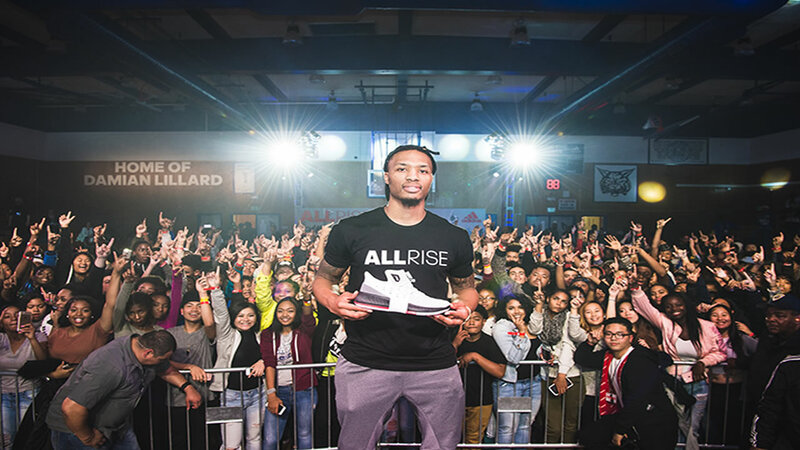 Lillard's new Adidas campaign aims to support communities like the one at Oakland high by using the basketball star's interest in music and sports. Click here for more stories, videos and photos on the NBA.